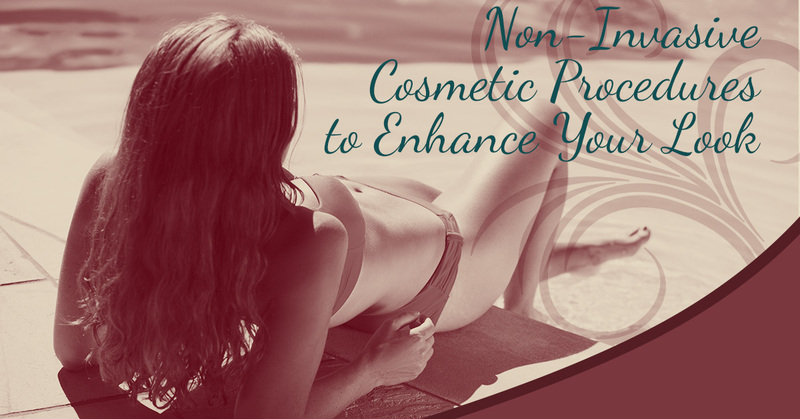 Would you like to enhance your look, but you’re not sure if you’re ready to commit to cosmetic surgery? With CoolSculpting, you can eliminate fat in the most stubborn areas of your body, like your arms, thighs, chin, abdomen, love handles and more. CoolSculpting works by freezing the fat cells in targeted areas, killing them. Over the course of the next few weeks, your body will eliminate the fat cells, leaving you with the leaner looks you’ve always wanted. Botox injections help to reduce or eliminate crows feet, forehead creases and frown lines, as well as thick bands in the neck. The toxins in the Botox block the nerve impulses, giving your skin a smoother appearance by temporarily paralyzing the muscles that are responsible for causing wrinkles. Botox is ideal for patients between the ages of 18 and 65, and in addition to fine lines and wrinkles, it has also been used to treat migraine headaches, muscles spasms in the eyes and neck, and excessive sweating. Laser skin resurfacing — also called a laser peel — helps to reduce fines lines by removing wrinkled or damaged skin one layer at a time. In addition to reducing the appearance of wrinkles, laser resurfacing is also used to treat uneven skin pigmentation and facial scars. Although laser skin resurfacing often accompanies another cosmetic procedure, like eyelid surgery or a facelift, it can also be performed on its own. You can choose to get laser skin resurfacing done on one specific region of your face or your entire face. Cellfina is a procedure that has been proven to decrease the appearance of cellulite on the upper thighs, glutes and hips. In order to understand how Cellfina works, you first need to understand what causes cellulite. There are tight bands of connective tissue that will start to pull the surface of the skin down, leading to dimples. Cellfina releases the tension in the cellulose, which results in smooth, cellulite-free skin. Although many people have achieved their aesthetic goals through cosmetic surgery, there are many non-invasive, non-surgical cosmetic procedures that are a great alternative for those who aren’t ready to commit to surgery. If you’re interested in any of these procedures, please schedule your free cosmetic consultation with Front Range Plastic & Reconstructive Surgery today to find out if one of these procedures is right for you.